Wonderful walk-in attic, double garage, washer & dryer will convey with home. MLS#3474609. Stephen Cooley Real Estate Group. Lake Shore - Seller will provide a 1 Year Home Warranty with acceptable offer. MLS#3472486. Allen Tate Providence @485. Original Owner! 1 year Home Warranty! MLS#3472222. Allen Tate SouthPark. Swing set; TV in garage & water purifier convey. Convenient to shopping; restaurants & Interstate. MLS#3461937. Better Homes and Gardens Real Estate Paracle. 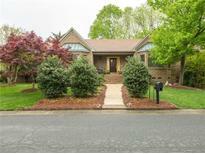 Home features high end finishes, granite countertops, hardwood floors, updates throughout and refrigerator to convey. MLS#3472111. Carolina Realty Solutions. Don't forget all the amazing community features Lake Ridge offers, including the clubhouse, pool, tennis courts, playground, walking trails and fitness center! MLS#3471134. Bliss Real Estate LLC. This home is energy star qualified. MLS#3471785. M/I Homes. Watertrace - Home comes with a 30-day satisfaction guarantee. Terms and conditions apply. MLS#3465874. Opendoor Brokerage LLC. HOA handles yard maintenance. Schedule your showing today!!! ! MLS#3467778. Century 21 First Choice. Energy star certified for low power bills! MLS#3465881. M/I Homes. Downstairs also has a covered rear Lanai that can be screened. MLS#3465856. M/I Homes. Energy star certified for low power bills! MLS#3465845. M/I Homes. Live the "Good Life" in a community that offers everything, Golf, Lake, Walking Trails, Clubhouse, Pool, Tennis Club & Beach Club. MLS#3465776. Century 21 First Choice. Energy star certified for low power bills! MLS#3465798. M/I Homes. Energy star certified for low power bills! MLS#3465789. M/I Homes. Make this house your home today! MLS#3462938. Keller Williams Fort Mill. 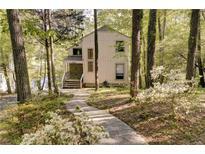 Lake Shore - Home is located within walking distance to the Elementary School, several parks, sports fields, and the lake. MLS#3465006. Keller Williams Fort Mill. Anchorage - Perfect cove to float in on a summer day. MLS#3464698. RE/MAX Executive. Tega Cay Elementary is the assigned school when enrollment cap is not in effect call Fort Mill School District. MLS#3463085. Highgarden Real Estate. Tega Cay vacation lifestyle. Fort Mill schools. MLS#3464026. Miller Realty Group. This home has an additional 407 sqft of unheated for the screened in porch. Come see us! MLS#3463784. Mattamy Carolina Corporation. Move-in ready for February 2019. Come see us! MLS#3463774. Mattamy Carolina Corporation. Move-in ready for February 2019. Come see us! MLS#3463397. Mattamy Carolina Corporation. Move-in ready for February 2019. Come see us! MLS#3463386. Mattamy Carolina Corporation.